TVN24 Biznes i ?wiat (TVN24 Bi? 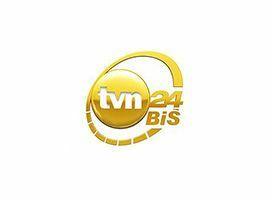 ; Polish: TVN24 Business and World) is a Polish 24-hour hybrid business and world news channel, sister station to TVN24. It was launched on 1 January 2014, replacing TVN CNBC. TVN24 Bi? belongs to the TVN S.A. Group which in turn is controlled by the Scripps Networks Interactive. As the world´s first hybrid business news and International news channel, its programming is focused on International events and economic news.